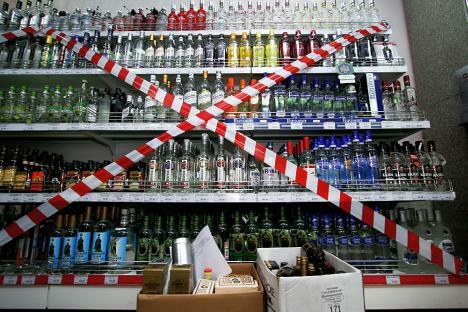 Russia – a country that already has an aggressive anti-alcohol policy – may soon see prices for vodka and cigarettes undergo a massive rise. Deputy Finance Minister Sergei Shatalov announced last week that the minimum price in the shops for half a litre of vodka will rise from 98 to 180 roubles ( 288 INR) in 2014, while the cheapest cigarettes will more than double in price to 40 roubles (64 INR ) a pack. Addressing the State Duma, Mr Shatalov reiterated that excises are in for annual indexation by 40 to 45% over the next three years. The indexation of excises on strong alcoholic drinks will generate an extra 135bn roubles (213,5bn INR) of revenue in 2012, and as much as 250bn roubles ( 395bn INR) by 2014. Excise duties on beer and wine are also due for a significant rise, which will bring in tens of billions of roubles in extra budget revenue. The Finance Ministry expects a rise in tobacco taxes to yield an additional 429bn roubles ( 687,5bn) by 2014. The struggle against binge drinking was first launched by then USSR General Secretary Mikhail Gorbachev back in 1985, when he simply closed down most wineries, alcohol factories and shops selling alcoholic drinks. Within three years, he had successfully cut alcohol consumption by approximately 27% and reduced alcohol-related deaths by 12%. More recent anti-alcohol measures have been less drastic. They include a ban on selling strong alcoholic drinks (over 15% proof) at night, and a ban on taking alcohol on public transport. In a further measure aimed at decreasing consumption among young people, a ban on beer advertising will be imposed in 2013, when selling beer on street stalls will also become illegal. Alcohol and tobacco producers argue that the high taxes will not cut alcohol consumption. They predict that, as Russia’s Customs Union partners Kazakhstan and Belarus have lower alcohol and tobacco taxes, the excise rises will encourage smuggling and benefit the black market, which is already said to account for around 30% of alcohol and tobacco sales. And the measures haven’t stopped there: under the pretext of protecting the nation’s health, a bill has been submitted to the State Duma on introducing a state monopoly on the production and sale of ethanol, proposing to restrict its production only to plants with state-run stakes of at least 51%.